Many people begin by choosing the cheapest drone, and then once they get the hang of flying they look for Drones with GoPro cameras. There are some drones that may just have a camera gimbal and then you can choose your favorite GoPro for attachment. 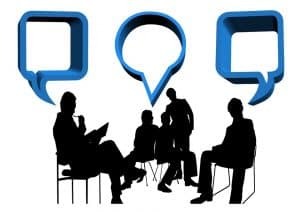 The advantage of flying drones for a GoPro camera or that has the capability to have one added, is that these types of cameras take professional looking snapshots and video footage. These photographs and videos can be used for commercial purposes. The videographer may wish to record for film or television. The photographer may wish to add a GoPro setup to a drone in order to sell great videos to wedding couples and for other types of public events. GoPro is actually a manufacturer located in the USA, who makes a line of professional quality action cameras. But often the term GoPro is also used to mean a camera. A GoPro mount will mean the gimbal that’s used to attach the camera to, in order to keep it stable. While GoPro is popular with drones today, other companies are catching up to the need to attach a professional quality camera so they can use it to market their services. DJI, 3DR, Walkera, Blade, and Ionic all make a drone with GoPro camera. They may also have some drones that don’t come with a camera, but with the addition of a GoPro quadcopter kit, the flying drone will soon be able to increase its functionality. 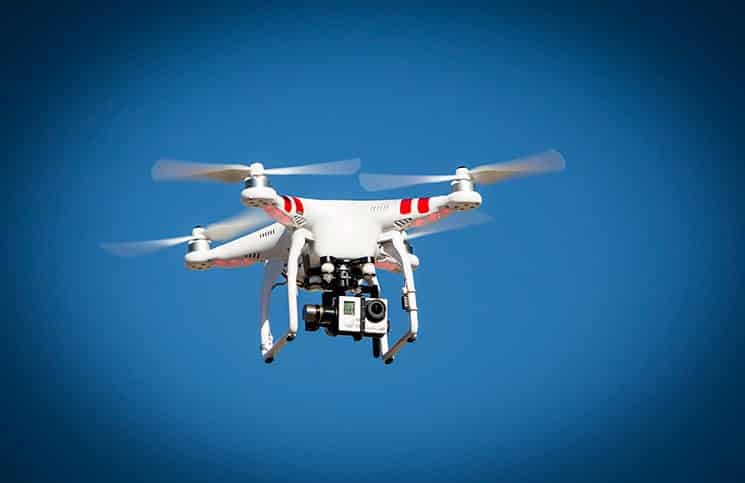 The DJI Phantom was the first in a long line of drones made by Phantom. As far as DJI Phantom drones go, it’s reasonably priced at around $480, but you’ll need to add your own GoPro camera. It does come with a GoPro mount, so you can leave it off until you find a great camera, and then turn it into a drone with GoPro. This drone is made from a white plastic body and has the clean smooth lines that you expect from the Phantom company. There are the two distinctive red stripes on each of the arms. Each of its four rotors is white. There are two D shaped long landing legs on either side, which will protect the GoPro camera and mount, when installed. The radio transmitter is included, and is made from the same white plastic material, with two stick shifts and buttons. It’s fairly simple. It’s pre-tuned at the factory so you don’t need to pair it together with the drone. There are a few installations you’ll need to do once you get it out of the box. You’ll have to insert four AA batteries inside the transmitter and get your drone charged up. You’ll also need to screw on propellers and landing gear. While this GoPro quadcopter does not have a camera, you can buy one. You have a choice of Hero2, Hero3 and Hero3+ camera models. This setup does not have live video streaming to either the radio control unit, nor by an app to your smartphone or tablet. If you’re interested in that, one of the other GoPro drones below may be more to your liking. This drone is still built with the GPS tracking system that you expect in a drone of this level. It also has a fail-safe function, preventing you from losing the drone on the field. It can return back to home again with either the press of a button, or if it loses contact with the radio transmitter. This drone with GoPro functionality can be flown at a speed of twenty two miles per second, or ten meters per second. 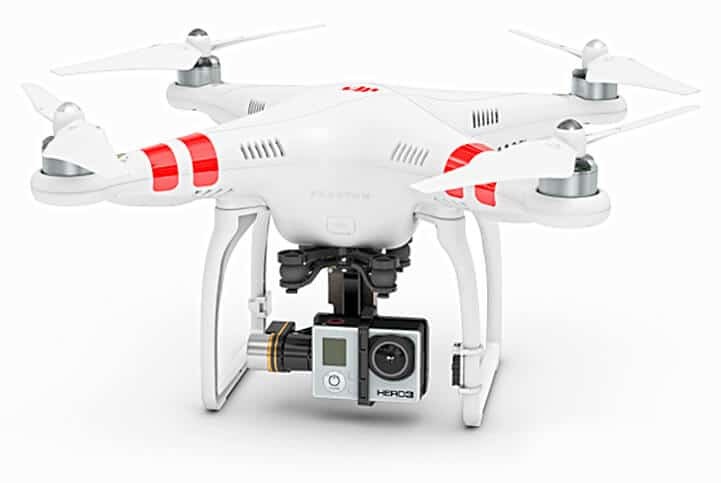 The DJI Phantom is a great and one of the best choice within Drones for GoPro, for people who want to capture the live action of a crowd during a game, concert, event, wedding, etc. You can also increase the functionality of your Phantom GoPro quadcopter by connecting it to your computer through software. You’ll need a USB port and cable on your computer, and have to do a separate software download. It’s interesting to see the progression of the Phantom in later releases. The DJI Phantom 2 is a later release than the 1 and it works perfectly as a quadcopter GoPro setup. You’ll also get a camera mount but you’ll need to choose your camera separately. One nice feature of this drone is that Phantom makes it as easy as possible to teach you how to fly, so then you can focus on the fun. You’ll get to attach the Zenmuse mount to the underside when you’re ready to purchase a camera to shoot great video. The Phantom 2 looks similar to the 1 in that it also has the shiny white body and two red stripes on each arm. There are two D shaped legs to either side, which will protect a camera once you have it installed. There are some other great features in this drone. You’ll have the ability to program in a flight path, such as a circle, square, or oval, and then release your drone in the air. This is also a great way to shoot some cool video, as the direction will be accurate, yet you can focus on viewing your video, rather than on attempting to keep your drone in the air. The DJI Phantom 2 is lightweight, but rugged. It can take some bumps and crashes that naturally happen. Since the propellers and landing gear can be detached, you can easily tuck it into a backpack before you head into the wilderness. Once the propellers have been attached, they’re self-tightening, so you won’t have to worry about carrying a screwdriver with you. The remote controller has more functionality than the Phantom 1, which is good news for pilots who like to play with buttons. It’s also in a sleek white plastic case. There is a battery capacity indicator, so you know how much charge you have left. A throttle locking feature will keep your fingers from getting tired. This drone for GoPro has a trainer port, so you can hook it up to a computer and it will teach you how to fly through instructional videos and more. 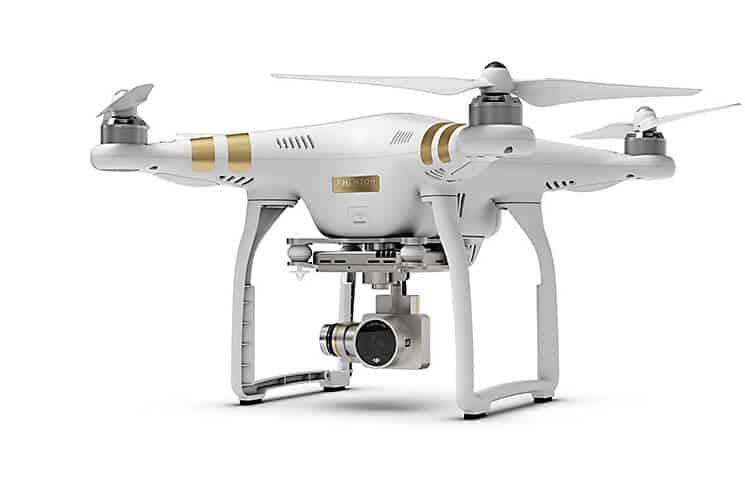 The DJI Phantom 3 Professional is a one of the Drones for GoPro that is available in the same shiny white finish as the 1 and 2, but has gold stripes instead of white. The professional set up comes with everything you need to shoot high quality, professional looking photographs and videos. You can use the included radio controller, or choose to watch live streaming video through a smart device. Every good GoPro helicopter drone needs a solid three axis stabilization gimbal. You’ll be able to view video that the camera takes through the Lightbridge digital streaming technology, while the DJI Pilot app will allow you to directly stream images to your iPhone, Android, or tablet. The camera can record 720 p full resolution. It records video and snapshots on a microSD card. Even the radio controller has rechargeable batteries, so you’ll know you’re doing your part for the environment. The DJI Phantom 3 Professional drone has a vision positioning system that allows for stable indoor flight too. This allows the drone to turn off its GPS system, while it utilizes a variety of sensors to keep from crashing into walls. This drone has a preprogrammed list of no fly zones, including the White House, so you don’t have to worry if it goes astray in the park. You may wish to check and ensure that you’ll have spots where you can take your drone out for flights. This means that your DJI will automatically lock up in these no-fly zones. Drone Flight Time – What It Is and What It Depends On? In the box you’ll receive everything you need. A quadcopter, remote controller, propellers, flight battery, charger and cable, manuals, gimbal clamp, SD card, and more. $1200 is a good price to pay for a GoPro helicopter drone that comes with everything you need in the box. The 3DR IRIS + is made by the 3D Robotics company. It has a steep price of $600, and doesn’t include a mount or a camera, so it doesn’t qualify as a cheap Drone for GoPro, but it certainly can have that functionality added if you wish. The Iris has a black oval body and two black and two blue arms, which will aid with navigation. There are four black propellers, and 2 blue and 2 black ladder-shaped landing feet. The overall look of the Iris + is like a squished narrow design. This may be more suitable for flying in areas where there are a lot of trees, as the drone will easily be able to slip through them, and there will be fewer chances for the drone to catch on a branch. The blue color of the drone on its two arms will also aid with orientation while in the air. The pilot will know that when the drone has its blue arms facing him, that the drone will be flying away. This just aids in the flyability of the Drone for GoPro. The arms also have an interesting, jagged kind of design. It may have been to make it lighter and more aerodynamic, but it adds to the design as well. The Iris is fully compatible with the GoPro HD Hero series of cameras. You’ll first need to add a camera mount, such as the Zenmuse, and compatible camera. You can also use other third party camera mounts if you don’t wish to use the GoPro camera. You’ll have to see what works for you. If you wish for your camera to shoot a series of shots while the drone slowly rotates around, you can do this through choosing a ROI waypoint. The 3DR IRIS + also comes with a radio controller, for those people who don’t like to control drones through a smart device. There is the option to hook it up to your computer though, and to be able to pre-program a flight path in. This is handy if you wish to film something specific, such as a lake or mountains, but would rather let the Iris take over so you can just have fun. You can hook it up to either a Mac, PC, or an Android device. There is also a tool kit included and an operation manual in the box. A flight checklist will ensure you’ve performed all steps needed, prior to flight. The Iris is quite sturdy and weighs about nine pounds. It should prove to be a great addition to the professional drone pilot who needs a GoPro quadcopter. Another great option for the pro who needs the best quadcopter GoPro setup is the Walkera Voyager 3 Gopro. This drone has a more unusual design, which shows that it’s meant for pros and not for use as a toy. Its body has a white casing in front, with a squashed nose. In back it has a black body casing. This is one of the few drones that have a special moving landing legs feature. There are two black T shaped arms on either side, and two black arms in back. At the ends of the arms are red plastic highlights, with the blades rotating above. One distinct feature is also that this drone can carry a gimbal camera mount, for a Hero camera, but that the two landing legs actually extend upwards while in flight. Before landing, these legs come back down again. It’s not often you’ll hear about Drones for GoPro that has this feature. The camera within the Voyager has 4K image quality. Not only do the legs extend up after takeoff, and then down for a landing, the camera automatically moves up before landing. This protects it during landings. The camera is also on a 3D gimbal, meaning that it’ll adjust and keep it angled to the horizon, so your video footage comes out stable, and not like someone experienced an earthquake. Your camera will also have an uninterrupted 360 degree view of the scenery. The photographer will be impressed by the professional quality camera contained within this Drone for GoPro. Sometimes the drone flyer just wants to have fun, and not worry about a camera. The Voyager has a detachable gimbal so it can be removed in these instances. This is also handy for switching out other cameras, and can prevent damage to the drone as you attempt to hold it down to attach another camera. This drone also has the capacity for a remote image transmission system. This means that the built-in signal can transmit it to a nearby smart device, rather than just viewing on the remote controller. It’ll keep friends or colleagues occupied too. Its global GPS navigation will enable it to navigate around parks, forests, and more. The radio controller is packed full of buttons and controls, within a square unit with a full color view screen at top. The Blade 350 QX3 provides a safe and reliable way to fly a quadcopter around at home, but can also be fun to take on the road too. It’s white and red casing may trick you into believing it may be from a premium line of Drones for GoPro, but its price is affordable. There are two red and two black rotors, with two tall landing legs. You can see a long white antenna on its roof, to enable it to stay into contact with the radio transmitter. Between these legs is a hanging camera gimbal. You’ll have to purchase a separate camera as one is not included in the box, but Blade does have their own version on offer. It’s recommended you purchase the Blade CG02 GB three axis stabilized HD camera. There are some great features on Drones for GoPro. Blade has its own patented “SAFE” technology, understanding that the new drone pilot has concerns about keeping their drone from breaking, as well as preventing injuries, and the destruction of personal property. This means that it has a Sensor Assisted Flight Envelope. The drone is covered in sensors, so that if it gets too close to a surface, it will back off. In addition to the SAFE mode, there is an AP mode which will assist the beginner in learning how to fly. The SAFE mode also flies within a specific flight zone. There is also self-levelling technology to help keep the drone flying at a stable angle in the sky. This is also helpful for when filming video footage. Once they feel confident, the pilot can switch the drone to Smart mode and then take over to shoot some great footage and photographs. When you switch to AP flight mode, you will be able to switch the drone to a faster speed, and fly it out to a farther distance. This mode also enables you to do tricks and maneuvers that you can’t do in beginner’s mode. There is also a return to home feature for when your drone is flying outside the range of the radio controller, or for when simply you want to pack up and return the drone to you faster. The radio controller is a Spektrum DX4. You can also pre-program your own flight boundaries. This is always a useful tool for the videographer. This ensures that the drone captures all the angles of the landscape. The Ionic Stratus has a silvery grey body with four long arms. There are two red stripes to differentiate forward direction, and two black in the black. Two forward blades are white, with two in the back that are black. Each of the blades is protected by curved blade guards. While these blade guards look familiar, the rest of the drone is certainly unique. There are two black landing gears in a D shape so that your camera and mount will be protected when landing. The Ionic Stratus has a six axis gyroscope to aid with the stabilization of the quad. It also has a shock absorbing cradle head, which is important for when a camera may be installed underneath. This will prevent video from being shaky or jerky. It’s recommended that the Hero4 camera be used. The Stratus is being sold as an affordable setup for those who want to add a camera. It does come with the gimbal attachment, so you don’t have to add your own. You can buy this drone for under $150. Even though there are stripes and propellers to indicate the forward nose position, you can fly this drone in a headless mode. This means that it will fly forwards, away from the radio transmitter, no matter which way the nose is facing. You also have the option of turning it off or on while the quadcopter is in flight. There is a separate radio controller unit to help with the operation of the drone. It has 2.4Ghz connective technology. 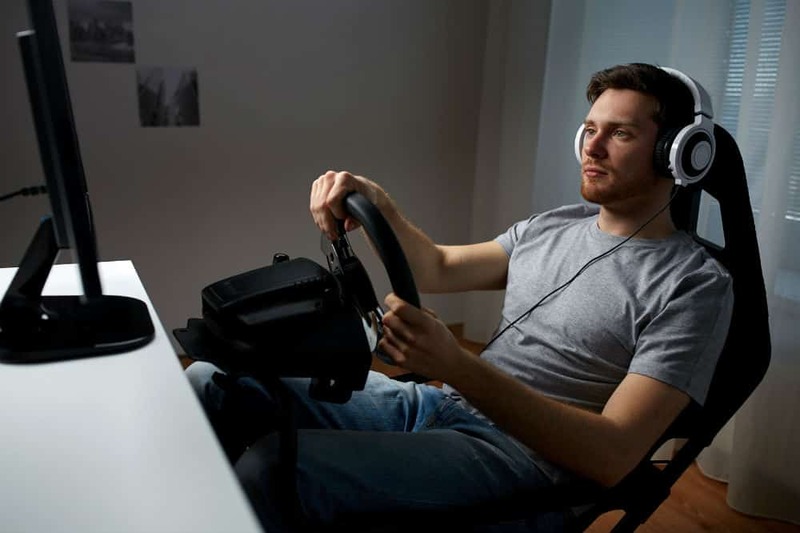 The throttle sticks on the controller enable you to move in in a variety of different directions: upwards, downwards, forwards and backwards, left and right, and left turn and right turn. There are also separate buttons for the 3D flips and the rolls. It’s also fun to have the ability to do tricks and rolls. There is a 3D roll button that makes this simple. You can do one roll or several in a series. The company provides instructions on how to get it set up from out of the box. It’s important to pair drone with radio controller, as this is not done at the factory like with pricier models of drones. To charge up the drone it takes about 150 minutes. This will give you about ten minutes of flying time, which is fairly decent at this price point, when three or four is average. You’ll need to add your own batteries for the radio controller unit, and a camera when you’re ready to shoot pics and film. The 3DR Solo also has a unique shape. It’s made with a dark gray body, with two long black landing legs. The four arms are close to the body with four gray blades. What’s so unique is that there is a flat, rectangular shaped body that slowly tapers upwards. The Solo can have a mount installed, which will support a Hero4 or other type of GoPro camera. The Solo makes shooting video easy for the beginner or pro. As you’re flying your drone through the air, all you have to do is press a button on the radio control unit to turn the camera on. You can then get back to steering your drone, and let the camera do its thing. Later you’ll get to download your amazing footage. The Solo has an optional backpack, which will help you to take it on long treks into the wilderness. Using its Smart Shots technology you have three choices when using your GoPro camera. If you’re a professional, you may wish to be able to control both the camera and the drone by yourself. You may wish to do preset angles and grain tilt control. Or perhaps you’d like to split the work between you and the camera. The quad’s internal computer will assist you by locking on a predetermined flight path while you control the drone. Or perhaps you want to move the drone around, but have the camera stay locked on a subject. The final option is to let the drone and camera take over completely. Smart Shots can mimic the moves of professional filmmakers. You don’t even need to learn how to pan or zoom in. The cable cam will make it appear like your camera is on a cable or rails, even when it isn’t. Another great function of the Solo is that there is a selfie mode. This means that you can stand in front of a feature, such as a building or sculpture, and the drone will slowly film you as it backs away. It will raise up in the air and give some amazing footage of you and your friends. A follow mode will also enable you to go completely hands free. Your drone will follow you from behind. The basic 3DR Solo will run you around $800. You’ll need to add your own camera to fully take advantage of all the great features of this GoPro-ready quadcopter. The Walkera QR X350 Pro is a quad that comes with a video and still camera, while still being priced under $400. Since your average video camera costs over $400, this is a pretty good deal. The Walkera is made in a white plastic body with orange graphics. There are 4 propellers and four protective legs. Best of all is the iLook video and still camera which is included. Both the beginner and the pro will find enough to interest them in this quad. This quad has LED running lights to enable you to see it at long distances in the air, or to simply have fun at nighttime. Besides the pro camera, there are many other great features. You can fly it out to a distance of two kilometres from the radio controller unit, so you can capture some great images of a mountain range or lake. The camera sits within a brushless gimbal that is a G-2D. This helps to keep the film stable and on the horizon even if it’s a bit windy or a beginner is flying the drone. The camera will record at 1280 by 720 pixels. You see see live streaming video at up to 500 meters or more. There are three different radio controllers to choose from, so you can decide which is best for you. One is a basic model, one has WiFi and one is meant for professionals. 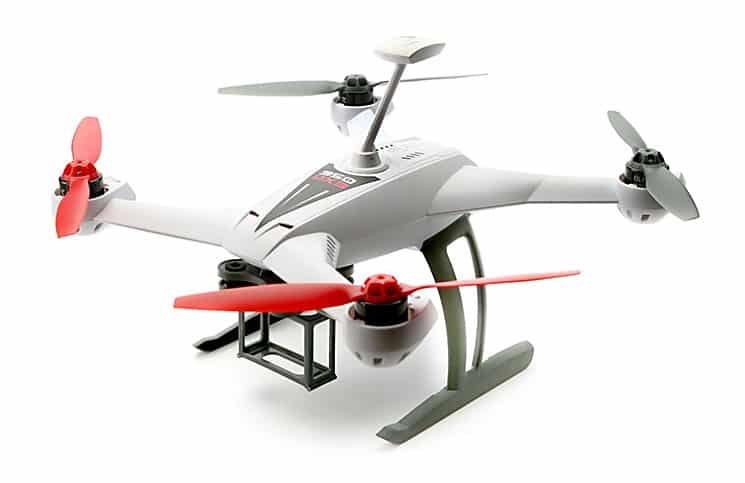 The Walkera utilizes GPS technology which helps it to remain stable in the air and to hold a position. Most people will be amazed at seeing your great film footage as it will appear to have been taken by a stable camera on the ground. One full charge will enable your quad to fly for twenty-five minutes, which is really the minimum when you’re searching for a pro drone. Drones for sale – Amazon or Ebay ? At first it may seem difficult choosing between the DJI, 3DR, Walkera, Blade, and Ionic manufacturers’ offerings. Even DJI seems to have four different choices which can all be great for the photographer and videographer. In order to narrow them down to one or two, you’ll need to examine each feature carefully. If price is a concern, you may wish to choose a drone for GoPro that’s priced under $500. But if it isn’t, you may have a budget of up to $2000 for your business. Keep in mind that once you start buying extra gadgets for your Drones for GoPro, that soon the price increases exponentially. You may wish to ensure you have a basic package to take photos and video, and then buy the additional accessories later. Another factor in the purchase of your drone with camera may be for what you want to use it for. If you’re just shooting video around home or the playing field, you may not need as good of a camera as a professional videographer who makes a living from filming would need it for. In fact, if you’re a beginner, you may wish to start with a more affordable drone, and learn to fly it first. Once you become a pro at flying, you can buy one of Drones for GoPro camera. There are many opportunities for the drone enthusiast to start a photography or videography business. All you need is to learn how to fly a drone, and then to buy one of the Drones for GoPro.